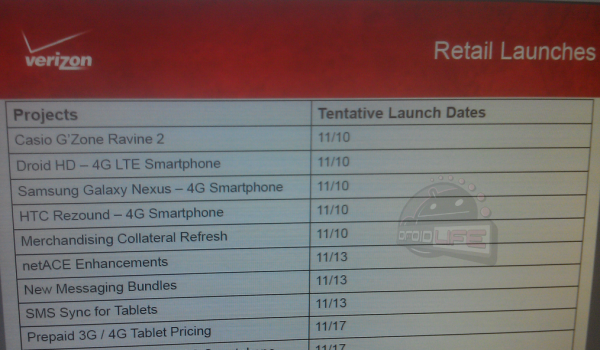 At the end of last week we saw Verizon’s newest MAP list that included the Galaxy Nexus and HTC Rezound with a start date of November 10. We stated then that MAP list dates are always “tentative” and try not to put too much into them, but it does give us a date to start planning around. 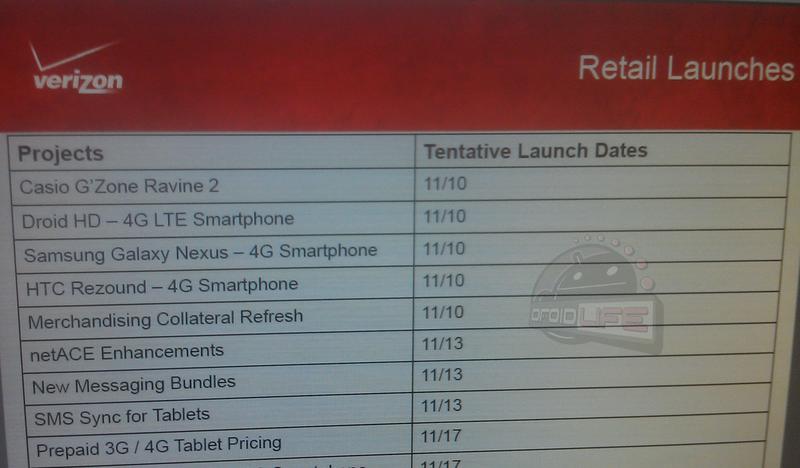 So what if that date now includes the DROID RAZR (DROID HD) as well? Talk about a blockbuster day for Verizon on 11/10 if they actually end up going forward with all three at the same time. Again though, this list does say “tentative” and also still lists the RAZR under its “HD” code name which is a pretty good sign that it is extremely fresh to Big Red’s systems. We should know more in about two hours when Moto is on stage showing off this thin and powerful beauty. Update: We almost missed the bottom half of this document that lists a couple of other interesting tidbits. “SMS Sync for Tablets” and “Prepaid 3G /4G Tablet Pricing” are sort of a big deal as well. Could Verizon be cooking up some sort of SMS app to bring texting from your phone to your tablet? And prepaid tablets is a new idea in the 4G world. You can currently hook up a prepaid deal with an iPad, but not any of the Android tablets.